"Jess is doing film in Belgrade, Serbia mo. of Nov. Another short CD delay but all in due time. Yes, go to your maps!" Since when does Ginger have a twitter? Admin wrote: Since when does Ginger have a twitter? I'm bummed about the delay... but excited for the new movie. I just watched 'Beware the Gonzo' on On Demand a couple nights ago, and while I enjoyed the movie and even liked it, it was hard to get into Jesse's character simply because I know that Jesse is nothing like Gavin in real life... But he did do an excellent job portraying someone so far out of how he is naturally. Yay! Is Ginger not the most prettiest woman you have ever seen? 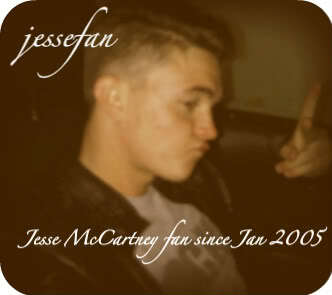 (no wonder Jesse is so handsome) and let think of it this way, more time to save up money for all things Jmac wooooo!! jessecraze wrote: Yay! Is Ginger not the most prettiest woman you have ever seen? (no wonder Jesse is so handsome) and let think of it this way, more time to save up money for all things Jmac wooooo!! Do we know if the album is delayed? Maybe Jesse has finished and it just needs releasing? Yes I was looking forward to Locke & Key too! Even though I wasn't sure if it be shown in the UK. But I could catch in online. But I wish he would release the album first and then some acting but I guess he has to promote the album if he released it. that's giving me some hope ) a full month without her influencing everything he does ... who knows? maybe jesse will get back to normal right? This s great!! I'm glad she isn't going with him Hopefully Jesse will tweet/post pictures! I'm really looking forward to this! Go Jesse!! Plus I want Jesse back. :-D he's in europe omg... on the same continent as me :-D yay! I really hope that being somewhere without "Eden" gets him to other thought like his CAREER! :-) ugh... I can't wait, I'm sooo excited! Jesse needs to stop over to the UK and come to my house! jessefan wrote: Jesse needs to stop over to the UK and come to my house! Is the title still unknown? Yes he should!! Me too, But I really want to kno what it is about.